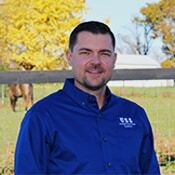 Jason is a registered professional engineer in both Kentucky and Indiana. Born and raised in central Kentucky, Jason graduated from UK in 2002. With an extensive background in construction and structural analysis, he has experience constructing everything from simple span house girders to multi-span highway bridges. Jason is equipped to handle all things structural, construction, and drainage related.